Lent beckons, and that’s a good time to dust off my gratitude journal. If you want a rundown on all the ways gratitude can help you, visit www.happierhuman.com/benefits-of-gratitude. Studies have chronicled how gratitude can help you sleep better, experience less physical pain, spend more time exercising, improve your mood and generally lead a better life. Sounds fantastic, but what about growing in a relationship with God? To a believer, that’s foundational. And fortunately, Scripture and the great spiritual writers, like St. Ignatius of Loyola, point to gratitude as integral to this foundation. First, you have to recognize and acknowledge that bounty, often hidden by our troubles and worries. A gratitude journal can merge with the centuries-old Ignatian practice of the “examen.” The “examen,” a once- or twice-a-day practice of reviewing your day to see where God is with you in it, is a wellspring of gratitude. The focus of this examination is not what I did wrong — although that may be part of what you note — but where was God in this for me? It’s part of the Jesuit tradition of finding God in all things. A gratitude journal names things in your day for which you are grateful. You can do it anytime, but some suggest it helps you to sleep more peacefully if you record gratitude before bed. Some people don’t like to write. OK, you can do an “examen,” or a gratitude review, mentally. I find it helps to write because then I can focus better, review my list and remember things I’d tend to forget. But you can pause at any time and give thanks for something without writing it down. Some suggest a gratitude journal sounds too simplistic, Pollyanna-ish. Of course. Tragedies happen. National politics drives us nuts. A guy on the freeway cuts us off dangerously. Who says thanks for that? But the more I focus on gratitude, the more I see that thankfulness is the flip side of every coin. I can use this gratitude to become involved myself, or I can choose the flip side and simmer in my own anger. God has a message for us in all circumstances, even sad ones. Gratitude is a choice. So are memories. A lesson for me is to choose good memories and not dwell on bad ones. Some fear a gratitude journal will become repetitive, a daily litany of kids, spouse, shelter, food. Dig deeper. I’m grateful for the nice note I received about a column I wrote. I’m grateful for the cookies my neighbor dropped off. I’m grateful for the opportunity to bring the Eucharist to someone, and grateful for the smile with which they rewarded me. Sometimes we forget about these little things, even though they cheered us in the moment. Keeping a gratitude journal reminds us of life’s little gifts. Jesus asked the leper who returned to thank Him for his healing, “Ten were cleansed, were they not? Where are the other nine?” Gratitude brings us into the Lord’s presence, makes us the one who returned. That’s why it’s a great Lenten practice. 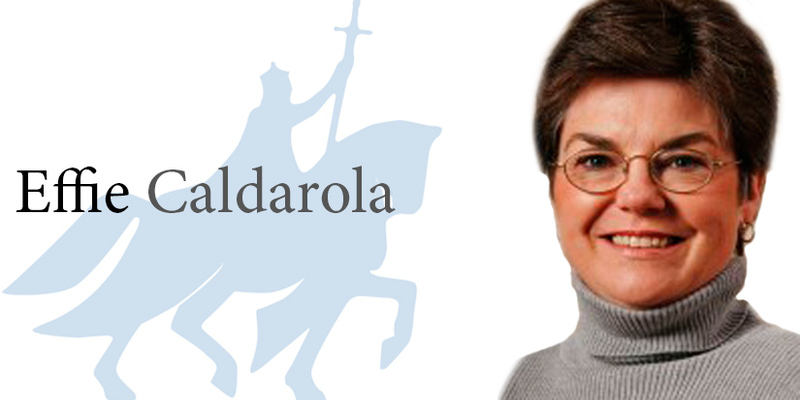 Caldarola is a columnist for Catholic News Service.